Plural nouns are words used to indicate that there is more than one person, animal, place, thing, or idea. In this worksheet you're going to see nouns which need to take the ending -s, -es, -ies, -ves, irregular nouns to form their plural form. An exercise which gives the student the chance to practice his knowledge concerning the plural form of the nouns. The above downloadable teaching material is intended for elementary school students, kindergartners and nursery school students and adults at Beginner (pre-A1), Elementary (A1) and Pre-intermediate (A2) level. 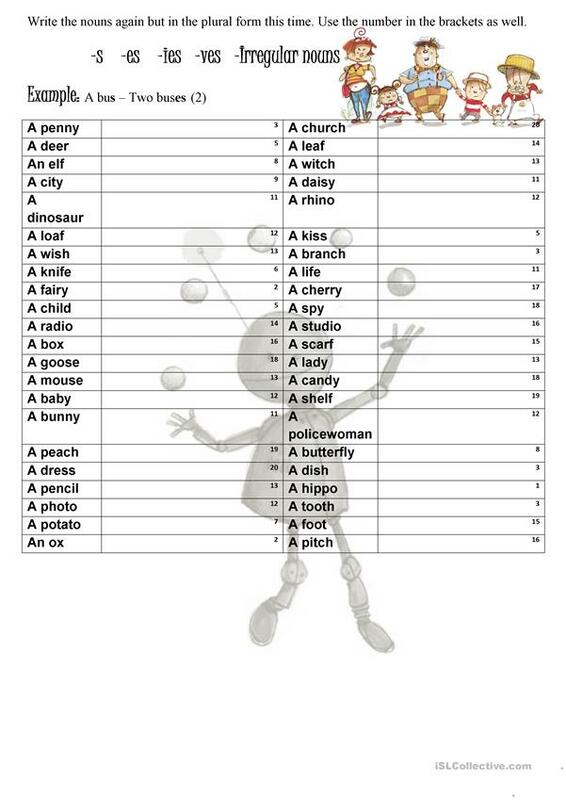 It is valuable for consolidating Nouns in English, and is useful for developing your groups' Writing skills.